We are a cowork space in Edmonton, Alberta offering a variety of spaces from office, artist studios, and woodshop. Over the next few month, TIMBRE will be rebuilding at 5420 - 82 Ave. We will have several new spaces available! TIMBRE is a interdisciplinary cowork space with tenants ranging from graphic design, videography, photography, cabinet makers, furniture makers, industrial design, lighting design, interior design, product development, marketing and more. Our mission is to build upon a platform that fosters young, startup businesses in a multitude of disciplines under one roof. Thus, not only providing affordable operation spaces - but cultivating a community. We have been lucky enough to watch countless collaborations, business growth and diversification happen within TIMBRE and we are working toward making that grow even larger in our new space. 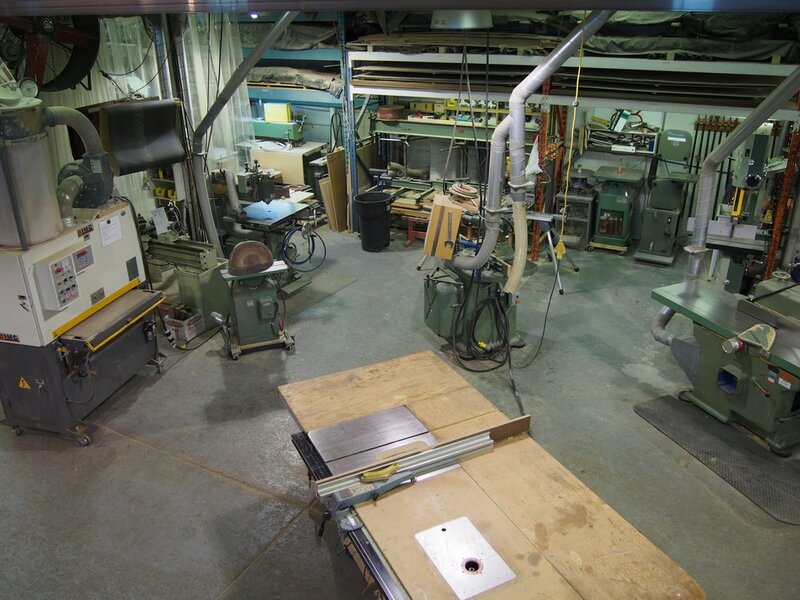 Currently as part of our service offerings we have a full wood shop, with private and shared space as well as office/studio's ranging from 140 sqf > 800 sqf workbay. The new space will boost a large common area with a kitchen, common seating, 16' ceilings, private meeting room, tons of natural light and more! Alongside that, we will be building out another woodshop, office/studio's and artist studios - with a plan to expand into metal work, cnc fabrication, drop-in's and education based programs. Please drop us a line if you are looking for a space to build your business, or practice your craft within a diverse and growing community of like minded individuals.